Today’s post will look at Azure Kubernetes Service (AKS), a managed Kubernetes offering from Microsoft, which makes it easy to create, configure, and manage a cluster of virtual machines that are preconfigured to run containerized applications. This tutorial is a walk-through of the steps involved in deploying and managing a highly available PostgreSQL cluster on AKS. Here is an example spec for deploying Portworx on Azure. Note that the [cluster-name] should be replaced with cluster name provided to the storage nodes (in the prior step). 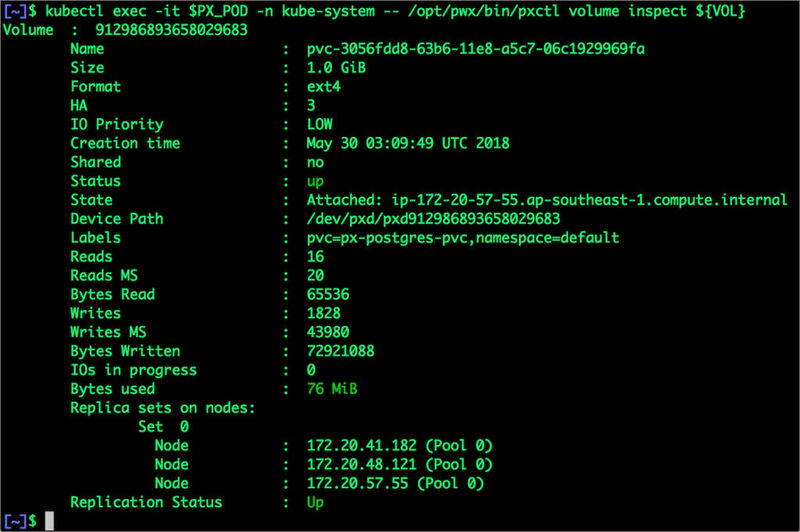 Also the Kubernetes version used here is 1.9.6 and the etcd-service should be updated with an etcd endpoint. Get the first Pod name of the DaemonSet, and check the status of Portworx cluster. Notice that the total capacity available to Portworx is an aggregate of all the disks that we attached, which adds up to 600GiB. 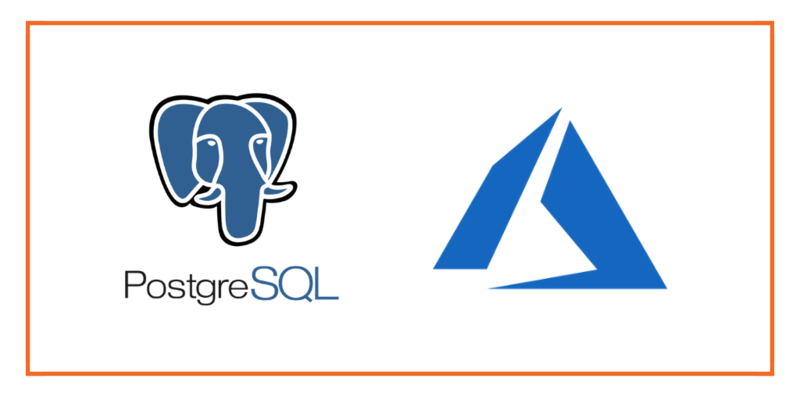 Once the AKS cluster is up and running, and Portworx is installed and configured, we will deploy a highly available PostgreSQL database. Since snapshots are just like volumes, we can use it to start a new instance of PostgresSQL. 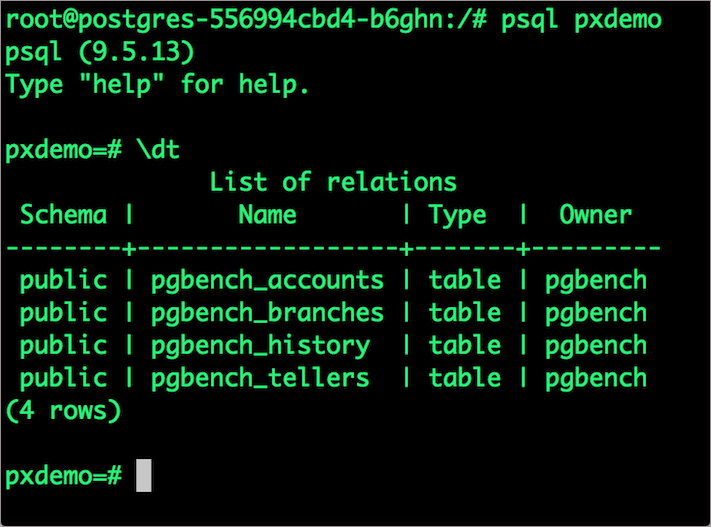 Let’s create a new instance of PostgresSQL by restoring the snapshot data. 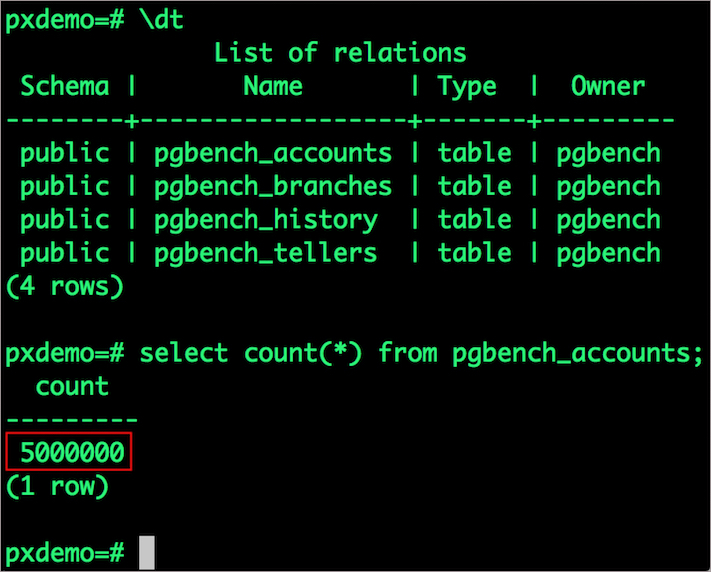 Finally, let’s access the data created by the benchmark tool earlier in the walkthrough. Portworx can be easily deployed on Azure Kubernetes Service to run stateful workloads in productions. Through the integration of Portworx and AKS, DevOps and DataOps teams can seamlessly run highly available database clusters in AKS. They can perform traditional operations such as volume expansion, snapshots, backup and recovery for the cloud-native applications.